Libby Honeycutt was determined to keep the Lazy H ranch going-even though the place was run down and mortgaged to the hilt and her ranchmen were quitting left and right. When things looked their bleakest, an arrogant drifter rode onto her land in a raging storm, saved her horses, stole a kiss-and proceeded to turn her life upside down. 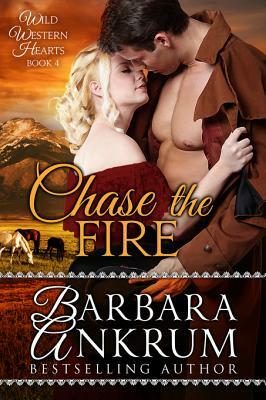 She and Chase disagreed on everything from how to break a horse to the best way to fry potatoes, but when they came together in love's fiery embrace, all differences melted away. Each steamy kiss and passionate caress drew Libby deeper into a velvety whirlpool of desire. Chase Whitlaw had left comfortable life in Baltimore to fight the four long years in the Civil War. Now it was time to get on with his life, but first he had one important errand: he'd promised a dying Rebel that he'd deliver a locket to a lady out in New Mexico, and Chase intended to keep that promise, and then be on his way. But the moment he set eyes on proud and beautiful Libby Honeycutt, he knew he must sample her luscious charms. He'd sign on as a ranchhand, help her out a bit, then tease her into a frenzy of desire, inch by inch, he'd cover her trembling body with kisses until she cried out in wild wanton ecstacy!